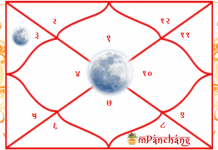 Saturn in the 10th House of the Kundli Chart – How it affects? Saturn is often considered as a malefic planet that brings pain and discomfort. However, he is a symbol of Justice and punishes those who are wrongdoers. His stay in a particular house for too long is considered as bad news as it can blow havoc into the lives of ascendants and turn everything into a disaster. For years, there have been hundreds of stories depicting Saturn as a planet of destruction and how one should always maintain a distance from him. All of this is nothing but a bunch of wrongly perceived notions that sadly tarnish the image of such dynamic planetary body. On the contrary, it is a highly rewarding planet that blesses the ones who are truthful. Saturn is the ruler of the tenth zodiac sign, that is Capricorn, and its presence into the tenth house is considered a very special occurrence. Here, we are going to discuss the positives and negatives of it, but first, let’s take a look at the significance of planet Saturn in the Astrology. Saturn has a very special place in Astrological studies, not because it is the most feared planet but due to the fact that it is the most influential planet in the entire solar system. 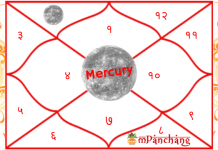 Since it is the ruler of Capricorn, it signifies two most crucial aspect of everybody’s life, profession and career. It also represents determination, discipline, jurisdiction, conscience, and weaker sections of the society. Basically, it symbolizes everything that is stable, long-lasting, and deep-seated. Difficult to understand why people get so uncomfortable with a planet so powerful. It will reward the ascendant with authoritative control or leadership qualities. People born during this time are natural representatives who know how to influence people with their remarkable administrative skills. However, one could struggle in personal life due to this, but maybe that’s the price one needs to pay to be a good leader. If the native belongs to the zodiacs Capricorn, Libra, or Aquarius, Saturn in the 10th house causes a very advantageous Yoga, known as the ‘Sasa Yoga.’ It is believed that this Yoga or a pious astrological condition can make you a king. You might get to a powerful administrative position in the government or could become head of a big corporate association. Saturn in the 10th house is a great occurrence in terms of professional growth. It helps the native experience an exponential rise in power at work which may be a little exhausting but comes with tremendous monetary rewards and public recognition. Ascendants belonging to Saturn’s this particular position will be into spiritual studies, for they would indulge in good activities and humanitarian services like charity, donating food and clothes. This occurrence helps you build strong social networks and win favors from higher officials in the organization. Also, if Saturn is in the tenth house of your zodiac it is highly likely that you get a government job yourself. Saturn in the 10th house directly corresponds to the 4th house, meaning, oppression on to the moon and the planet that sits in that spot. This is a terrible news for parenthood. One might find it difficult to get along with children or maybe their children could suffer from poor health. It is not a good sign for married couples as well. They might find themselves at each other’s throat all the time and that too for no significant reason. As conducive as this astrological condition looks to your professional growth, but it can also deter your relationship with the higher officials at work. You may suffer through miscommunication, dissatisfaction, prejudice, and favoritism. 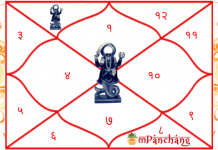 Overall, Saturn in the 10th house in one’s Janam Kundali brings in more reasons to be happy but it can also throw some challenges in your personal life. 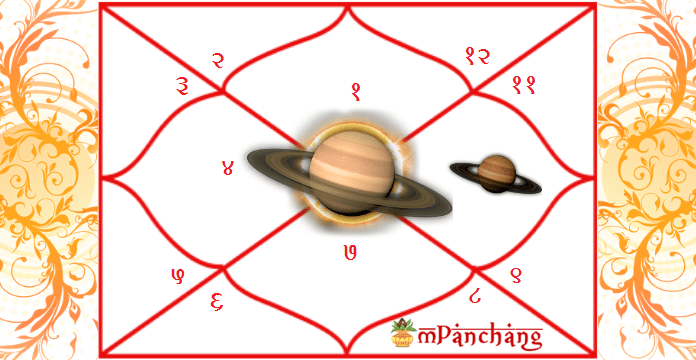 Know how Saturn in 10th House can affect your life by getting a Free Janam Kundli Analysis by expert Astrologers. Next articleCan Kundali predict love Marriage?